The politically correct thing to say is, "All homemade gifts are awesome, because it's the thought that counts." I do believe it's the thought that counts, but I'd be lying if I said that ALL homemade gifts rock. Many homemade holiday gifts leave a lot to be desired. From homemade wine gone wrong to wooden structures you don't need to oddly colored knitted hats you'll never wear to not so tasty baked goods -- poorly constructed homemade gifts aren't that useful. Worse, I think homemade gifts gone awry turn people off to the idea of homemade goods altogether. This is too bad, because in theory, homemade gifts are a great idea. Homemade holiday gifts are more special because of the time involved, often allow you to use up recycled goods, and they typically save you money. Plus, homemade gifts make you focus on a less stuff-filled, more thoughtful holiday. In order to ensure your family and friends are on board with homemade gifts, why not make something great vs. something that's just so- so. Keep reading to learn how to make homemade gifts people will actually love, use and talk about, thus giving handmade goodies a better name. Last minute homemade gifts are often thrown together too quickly, thus are more likely to have flaws. Last minute homemade gifts also don’t allow you to work out any kinks in the design process and can be stressful, forcing you to stay up late at night during the already busy holiday season. It’s very wise to get a jump start on homemade gifts and start creating them as early as possible. The only homemade gifts you should be making last minute are food gifts because clearly cookies or fudge made in September aren’t practical. You should think it through carefully before making and giving perishable items. For one thing, giving gifts of food usually means you’ll be doing the bulk of your gift making during the week before Christmas, Hanukkah or whatever holiday you’re celebrating — which is hyper stressful. Believe me, I know – you don’t want to hear about the year I decided homemade chocolate covered cherries would be a great gift idea. Two, while I’m on board with a good food gift, most people are really picky about cleanliness, germs, flavors and more. 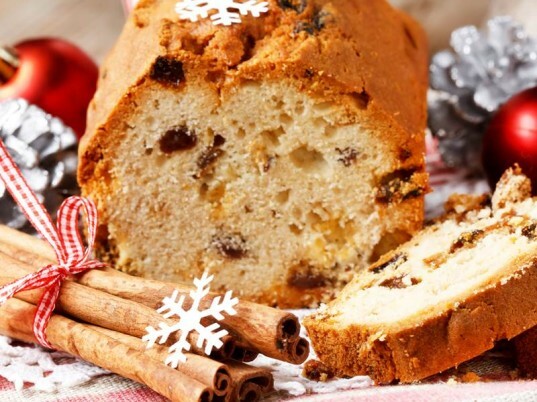 Homemade food gifts are more likely to be tossed — which equals a total waste of time for you. Homemade food gifts also won’t work well for people who have issues with gluten or other dietary restrictions and you may give someone a food they’re allergic to without knowing it. Because of this, all food items you give should be clearly labeled with all ingredients. 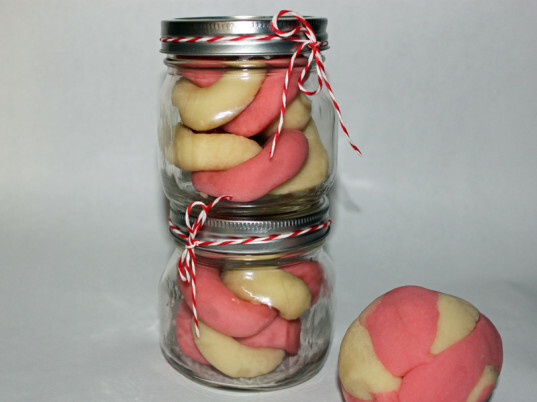 If you do decide on a food gift, choose something you can make in advance if possible, such as jam or dry cookie mixes in a jar. Simple is best. Go with food that has a neutral flavor vs. spicy or exotic flavors and avoid any food item that goes bad quickly (homemade bread for example) or that’s hard to transport (berry crumble pie). Make food gifts that can be easily reproduced in bulk quantities plus recipes that are easy to wrap and that travel well. The Internet and craft books are great places to find homemade gift ideas, but sadly, the bulk of these gifts aren’t eco-friendly. If you’re making homemade gifts it’s more thoughtful for people and the planet if you green those gifts up. Once you find a gift project, take a moment to ponder how you can make it greener. For food and body care gifts, switch out conventional ingredients for organic, GMO-free and Fair Trade ingredients when possible. Reuse storage containers and packaging when you can. If you need to buy packaging, such as candy boxes, go with recycled content or choose a container that the recipient can reuse. Buy recycled and non-toxic arts and crafts supplies. Before buying new materials for a project, see if you have anything around the house that will work. If not, visit thrift stores or garage sales first, before buying brand new materials. Try to only give gifts that can be used up (homemade finger paints or soap) or recycled at the end of their life. By kid-friendly, I don’t mean toys. I’m talking about homemade gifts your kids can help you make without making a total mess of the project. Your kids are one of the very best reasons why you should consider making homemade gifts. It’s really nice for your kids to see that you’re giving gifts from the heart that take some time vs. simply going to the store and spending money. It’s also meaningful because your kids get to help you make the gifts. However, consider that kids have short attention spans and often lack the skills needed to pull off complicated gifts. Plus, if you have a kid who is a little perfectionist (um, my son) harder homemade gifts can really stress your child out, because they’ll want the gift to be perfect and when it’s not, look out! To avoid holiday melt-downs, come up with homemade gift ideas that are useful but still easy enough for a kid to make without too many glitches. This is one instance where food gifts, like cookies, are a good idea. 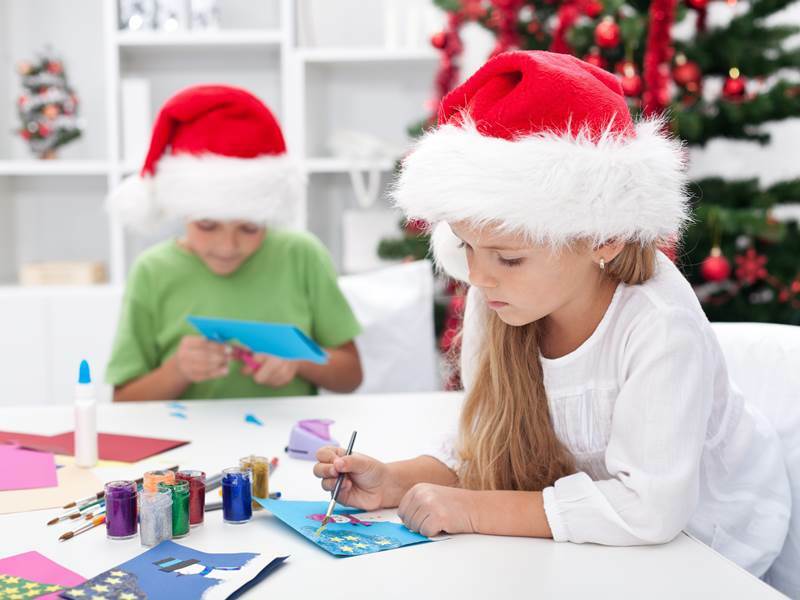 Kids can also paint picture frames, wooden clocks or flower pots easily, help make wrapping paper or help you whip up batches of organic sugar scrub. Stick with what you know and choose projects that focus on skills you already have. Meaning, if you can’t sew, don’t try to pull off homemade blankets. Choose gift projects you can make with tools you have on hand. For instance, if you don’t have a wood shop, hand cut wooden toys are going to be a costly gift to make. Do a practice round. On paper (or in your head) a gift idea might look really cool but the reality may be different. For example, my son and I were considering making homemade felt food for some of our toddler relatives. However, after a practice session, we found out that while our play food looked ok, it didn’t look great. We need more practice sewing before our play food is gift-ready. We made homemade memory games instead because we knew we could pull it off. With this in mind, only buy materials for one gift, try it out, and if it’s not for you, at least you haven’t wasted too much time or money. Don’t go nuts. One year I made everyone a ton of sweets – chocolate covered cherries, cookies and homemade peanut butter cups. I almost went mad. It was a ton of work, took forever, and while everyone loved their treats, I’m sure they would have been perfectly happy with one treat vs. three types. Would You Want Your Own Gift? Would I want this gift myself? Is the gift good enough to show that homemade gifts are cool, not lame? Thinking about the gift project beforehand is eco-friendly and thoughtful, because you’ll save resources and your gift is more likely to be loved and used, not simply tossed into the landfill. Last minute homemade gifts are often thrown together too quickly, thus are more likely to have flaws. Last minute homemade gifts also don't allow you to work out any kinks in the design process and can be stressful, forcing you to stay up late at night during the already busy holiday season. It's very wise to get a jump start on homemade gifts and start creating them as early as possible. The only homemade gifts you should be making last minute are food gifts because clearly cookies or fudge made in September aren't practical. You should think it through carefully before making and giving perishable items. For one thing, giving gifts of food usually means you'll be doing the bulk of your gift making during the week before Christmas, Hanukkah or whatever holiday you're celebrating -- which is hyper stressful. Believe me, I know - you don't want to hear about the year I decided homemade chocolate covered cherries would be a great gift idea. Two, while I'm on board with a good food gift, most people are really picky about cleanliness, germs, flavors and more. 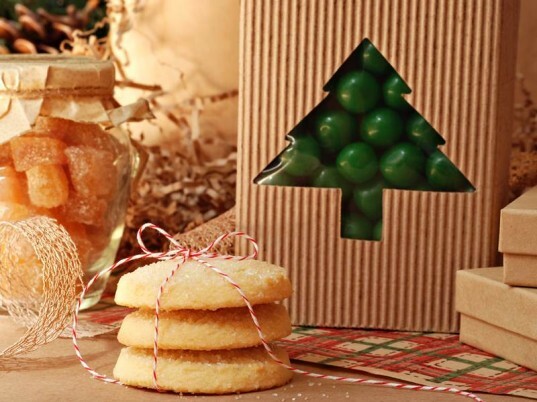 Homemade food gifts are more likely to be tossed -- which equals a total waste of time for you. Homemade food gifts also won't work well for people who have issues with gluten or other dietary restrictions and you may give someone a food they're allergic to without knowing it. Because of this, all food items you give should be clearly labeled with all ingredients. If you do decide on a food gift, choose something you can make in advance if possible, such as jam or dry cookie mixes in a jar. Simple is best. Go with food that has a neutral flavor vs. spicy or exotic flavors and avoid any food item that goes bad quickly (homemade bread for example) or that’s hard to transport (berry crumble pie). Make food gifts that can be easily reproduced in bulk quantities plus recipes that are easy to wrap and that travel well. The Internet and craft books are great places to find homemade gift ideas, but sadly, the bulk of these gifts aren't eco-friendly. If you're making homemade gifts it's more thoughtful for people and the planet if you green those gifts up. Once you find a gift project, take a moment to ponder how you can make it greener. For food and body care gifts, switch out conventional ingredients for organic, GMO-free and Fair Trade ingredients when possible. Reuse storage containers and packaging when you can. If you need to buy packaging, such as candy boxes, go with recycled content or choose a container that the recipient can reuse. Buy recycled and non-toxic arts and crafts supplies. Before buying new materials for a project, see if you have anything around the house that will work. If not, visit thrift stores or garage sales first, before buying brand new materials. Try to only give gifts that can be used up (homemade finger paints or soap) or recycled at the end of their life. By kid-friendly, I don't mean toys. I'm talking about homemade gifts your kids can help you make without making a total mess of the project. Your kids are one of the very best reasons why you should consider making homemade gifts. It's really nice for your kids to see that you're giving gifts from the heart that take some time vs. simply going to the store and spending money. It's also meaningful because your kids get to help you make the gifts. 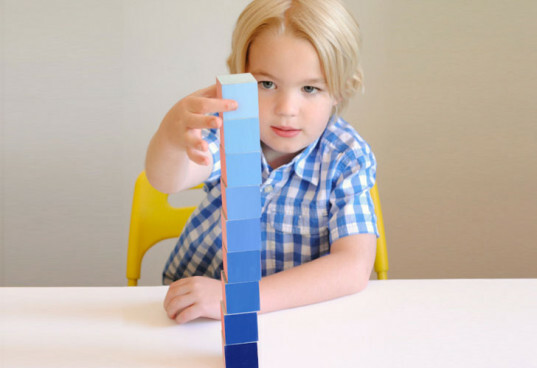 However, consider that kids have short attention spans and often lack the skills needed to pull off complicated gifts. Plus, if you have a kid who is a little perfectionist (um, my son) harder homemade gifts can really stress your child out, because they'll want the gift to be perfect and when it's not, look out! To avoid holiday melt-downs, come up with homemade gift ideas that are useful but still easy enough for a kid to make without too many glitches. This is one instance where food gifts, like cookies, are a good idea. Kids can also paint picture frames, wooden clocks or flower pots easily, help make wrapping paper or help you whip up batches of organic sugar scrub. Holiday gift making time is not the time to learn a new difficult skill - unless you've started way in advance. For a more successful gift making experience keep it manageable by doing the following: Stick with what you know and choose projects that focus on skills you already have. Meaning, if you can't sew, don't try to pull off homemade blankets. Choose gift projects you can make with tools you have on hand. For instance, if you don't have a wood shop, hand cut wooden toys are going to be a costly gift to make. Do a practice round. On paper (or in your head) a gift idea might look really cool but the reality may be different. For example, my son and I were considering making homemade felt food for some of our toddler relatives. However, after a practice session, we found out that while our play food looked ok, it didn't look great. We need more practice sewing before our play food is gift-ready. 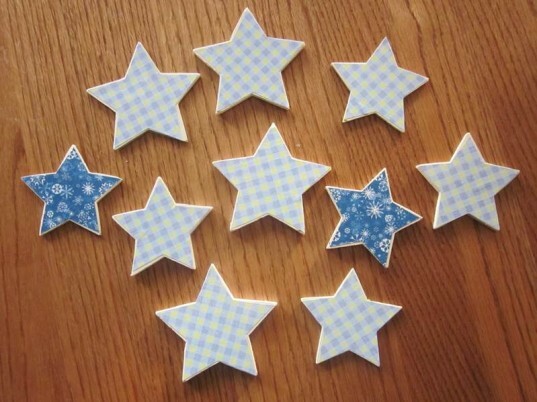 We made homemade memory games instead because we knew we could pull it off. With this in mind, only buy materials for one gift, try it out, and if it's not for you, at least you haven't wasted too much time or money. Don't go nuts. One year I made everyone a ton of sweets - chocolate covered cherries, cookies and homemade peanut butter cups. I almost went mad. It was a ton of work, took forever, and while everyone loved their treats, I'm sure they would have been perfectly happy with one treat vs. three types. 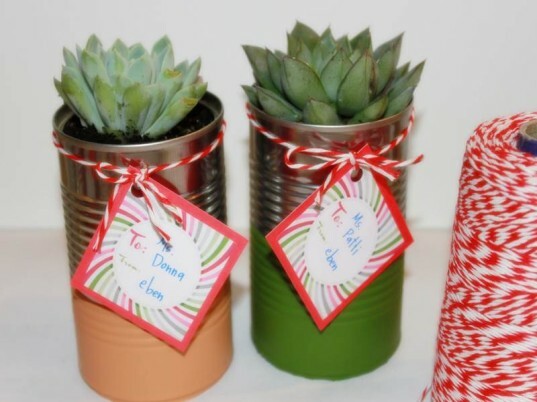 Photo - Organic Succulents in Recycled Decorated Cans Would You Want Your Own Gift? Before taking on a homemade gift project, always ask yourself: Would I want this gift myself? Is the gift useful? Is the gift good enough to show that homemade gifts are cool, not lame? Thinking about the gift project beforehand is eco-friendly and thoughtful, because you'll save resources and your gift is more likely to be loved and used, not simply tossed into the landfill.